Last Saturday, two productions closed in the West End, but with differing fortunes. The first was the long-running Stomp . After 15 years in the West End, it finally wrapped up its run at the Ambassadors Theatre. Over at the Dominion, the Broadway transfer of the George and Ira Gershwin musical An American in Paris  was putting away its dance shoes after just nine months in London. At first glance, these two productions may appear to have little in common. However, they both represent two things that a commercial producer strives for when looking to create a production with longevity. The first is for it to become a brand that makes its title the star. The second is an accessibility to international audiences, especially where English is not their first language. Both Stomp and An American in Paris follow this format. 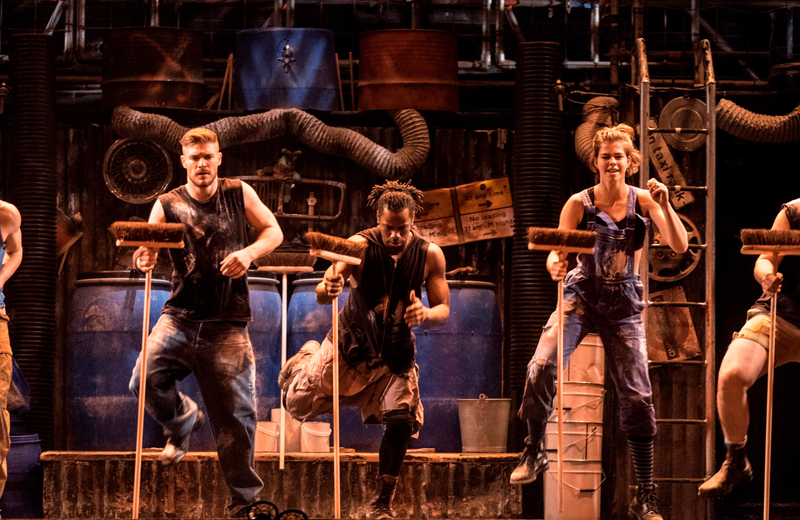 The performance style Stomp uses – junk being used to created rhythmic music – allows for easy audience accessibility, while An American in Paris is as heavily focused on dance as it is singing. But while Stomp will bow out a success, An American in Paris will most likely be remembered as a charming but short-lived West End failure. The arrival in the 1980s of the West End mega-musical saw the way we measure the success of a musical change significantly. Cats  in 1981 was rightly celebrated as a work that revolutionised the modern musical and became the West End’s first long-running blockbuster, but it also changed both public and industry perception of how the success of any musical was judged. Hit musicals that shaped and defined the industry include the original Broadway productions of West Side Story (1957) and Carousel (1945). They played runs of 732 and 890 performances respectively, which is nothing compared to the length of run required to be deemed a success today. Cats created an obsession to try to repeat that show’s perceived winning formula. The result was a tirade of misjudged and dire West End musical attempts, from Bernadette to Leonardo to Which Witch to Metropolis. In Adrian Wright’s entertaining new book, Must Close Saturday: The Decline and Fall of the British Musical Flop, he charts the British musical from 1960 to 2016; year by year he analyses that season’s failed musicals. The book demonstrates how frequently it’s the smallest of margins that can determine a musical’s success or failure. On January 16, it will be 27 years to the day since Stephen Schwartz’s epic biblical musical Children of Eden received its world premiere in 1991 at the Prince Edward Theatre, closing 103 performances later. Consider what might have happened if it had opened in the West End during either the heyday of the 1980s home-grown British mega-musical or around the same time as Jesus Christ Superstar and Godspell. If it had, this large-scale musical, with its lush score and now long-forgotten visionary animal designs that pre-dated The Lion King , may have enjoyed a longer life and spawned international and licensed productions on the back of it. In contrast, had Dave Clark’s 1986 musical Time, which was set in outer space and was a previous tenant of the Dominion Theatre, premiered at any other point then it would almost certainly have been at risk of becoming a legendary flop to match that of the Broadway disaster Carrie. Time’s success can be seen as dependent upon it having opened on the back of the arrival of 1984 blockbuster Starlight Express, whose design turned the Apollo Victoria Theatre into a roller dome and made musicals ‘event theatre’. Even with Cliff Richard leading Time’s cast, had it opened before Starlight Express or after The Phantom of the Opera and Miss Saigon – by which time epic musicals had developed a better balance between spectacle and score and book – it may not have succeeded, a point reiterated by the fact that no subsequent productions of Time have been produced anywhere in the world. The original 1968 West End production of John Kander and Fred Ebb’s musical Cabaret ran for only 336 performances (just a few months longer than An American in Paris), and it was heralded a commercial hit. Today, it would more likely have been considered an ‘artistic success’ but judged a ‘commercial failure’ probably to have then been rediscovered and revisited years later. We need to reconsider how a production’s success is measured and the factors used to determine this. A musical should not have to play for more than a decade to be considered a hit.